The first Jaguar F-TYPE sports cars have arrived in UK dealerships having been presented to an enthusiastic dealer network following a ceremonial hand-over at the Ricoh Arena in Coventry. 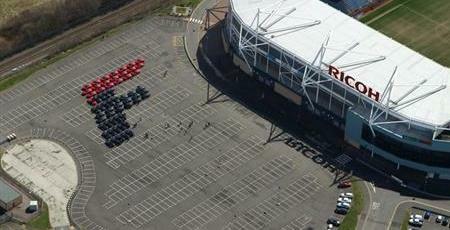 The Jaguar UK dealers are the first in the world to take delivery of their F-TYPE demonstrators and to mark the occasion 59 of their vehicles were arranged in a giant “F” in the car park of the Coventry landmark before embarking on a 1.5-mile long procession around the Coventry ring road. The F-TYPE convoy was lead by a predecessor sports car, the final example of the iconic E-type ever manufactured. 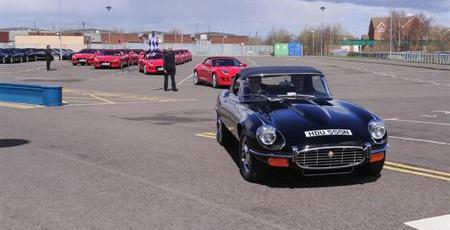 The £4.7m procession comprised 60 cars. 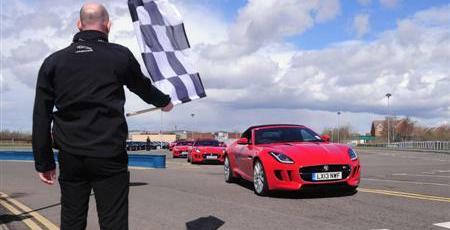 By the time the F-TYPE demonstrators reach their respective dealerships they will have amassed a total of 7,141 miles. The nearest dealer, Guy Salmon Jaguar, Coventry, had a mere 3.5 miles to travel, while Peter Vardy Jaguar, based in Aberdeen, had 440 miles to cover. 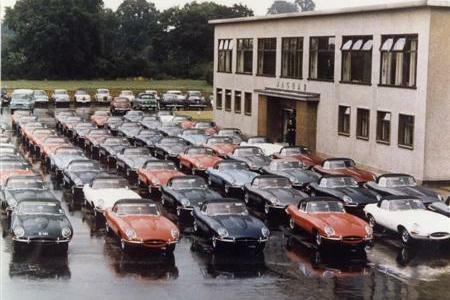 The event is not without precedent – in 1961 Jaguar staged a similar dealer delivery event at Browns Lane in Coventry, with 60 Jaguar E-type sports cars. Robin Sturgess, whose son Chris is now dealer principal at Sturgess Jaguar of Leicester, was present at the 1961 event and took his place in the Jaguar E-type at the head of today’s historic convoy. The grandson of Jaguar founder Sir William Lyons, Michael Quinn, was also in attendance on behalf of RA Creamer Jaguar, Kensington. Jaguar global retail sales for Q1 2013 are 20,210, up 31%, while Jaguar Land Rover global retail sales for Q1 2013 are 115,504 up 17 % - a new record. Designed and engineered in Coventry, and built in nearby Castle Bromwich, Jaguar’s all-new two-seater sports car is one of the most highly-anticipated cars of the year. The F-TYPE is an all-new, front-engined, rear-wheel drive convertible, engineered to deliver pure dynamic driving reward and stunning performance. The F-TYPE's interior features a driver-focused philosophy, with engaging controls encased in dramatic architecture. Three models will be available - F-TYPE, F-TYPE S and the F-TYPE V8 S - powered respectively by Jaguar's new 3.0-litre V6 supercharged petrol engine in 340PS and 380PS outputs and its 5.0-litre V8 supercharged petrol producing 495PS. 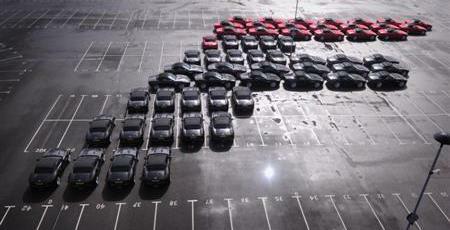 The Jaguar F-TYPE will be released throughout Australia later in the year.